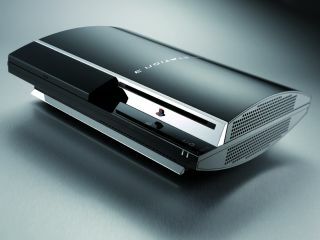 Sony says that its 60GB PlayStation 3 console in America has had a big jump in sales since its $100 price cut. Based on "preliminary internal data" Sony says that sales of the PS3 have more than doubled in the two weeks since the July 9 price cut. "The new price on the 60 GB PS3, coupled with our very strong software showing from E3, is certainly paying dividends in terms of impressive sales across the board at retail," said Jack Tretton, president and CEO of SCEA in a statement. "This jump in sales bodes very well for us heading into the fall as we launch an impressive arsenal of hardware and software, leading off with the new 80 GB PS3 in August along with the unveiling of highly anticipated games such as Lair and Warhawk. That will be followed by Heavenly Sword in September and six more exclusive first-party PS3 games in October, including Ratchet & Clank Future: Tools of Destruction." If the numbers are to be believed, things are looking a lot more rosy for Sony than they did a couple of months ago. It does appear though, that PS3 sales were improving even before the price cut at the beginning of the month. June NPD figures show that the PlayStation 3 sold 98,500 units in the US during that month, compared to 81,600 in May. In comparison, Xbox 360 sold 198,400 units in June, Wii sold 381,800 and DS sold 561,900. Today Sony isued a new firmware update for the PS3 , version 1.9 is now available for download.